Professional Doll Restoration or Doll Repair? 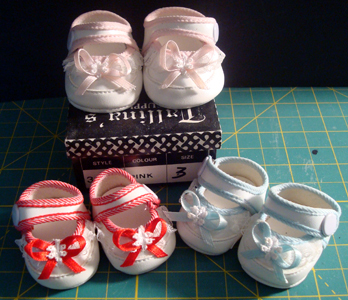 These Ankle Tie Party Doll Shoes are for your Patsy Dolls and Shirley Temple Dolls.They have edge stitching, eyelets, and rayon center ties. They are available in either leather or true oilcloth. 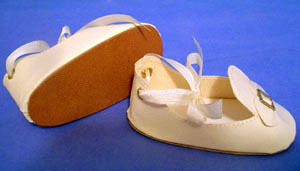 Buckle or bow trims and ribbon ties may vary from those shown. 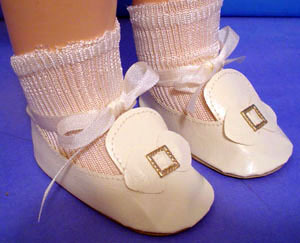 These are a high quality shoe for your Patsy or Shirley Temple dolls. 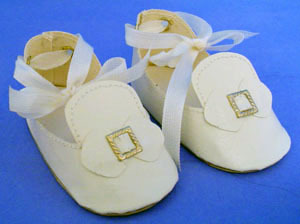 These shoes are made to fit the composition Ideal Shirley Temple Dolls or the Effanbee Patsy family dolls. 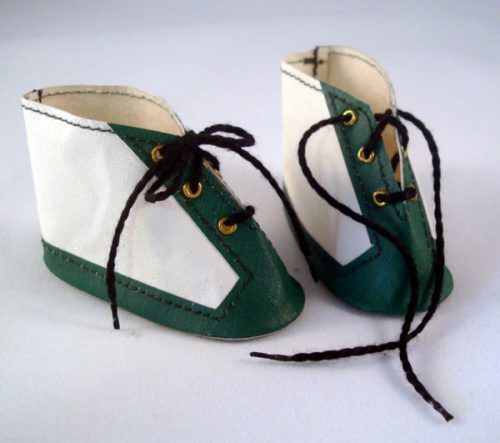 They will likely fit other composition dolls from that era as well.Vintage rayon doll socks are available for your dolls also. 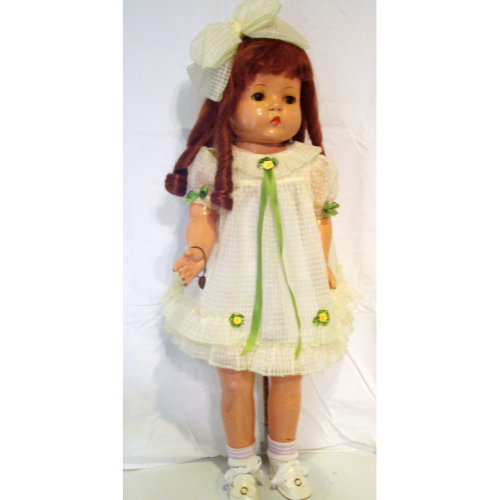 Ginny Doll Clothes 7 ½"-8"
I do not buy dolls.